In the July 2015 issue of Personality Type in Depth, Carol Shumate provided a perspective on “ambiversion” (Ambiversion: Ideal or Myth?). I say “a” perspective because—whether we discuss depth psychology or psychological type—there are always multiple, often differing perspectives. Some of the disparate views within psychoanalysis and analytical psychology were documented in the books Freud and the Post-Freudians (Brown, 1961/1969) and Jung and the Post-Jungians (Samuels, 1983). Although there is no equivalent book for post-Myers-Briggs typology, there are nevertheless a variety of contemporary views in the field. These can depend on the various uses and interpretations of concepts such as the four preferences, eight function-attitudes, whole types, temperament, neuroscience, integration with other theories, etc. Also, views on type are often influenced (sometimes unconsciously) by different versions of Freudian or Jungian ideas. In this article, I’ll identify some of the influences I see on the concept of ambiversion, and outline an alternative perspective based on my understanding of a classical Jungian interpretation. One of the major influences on the interpretation, and sometimes misinterpretation, of Psychological Types was Jung’s poor management of his public relations. When he laid down the foundations of analytical psychology, shortly after the First World War, he described the core of analytical psychology in four works—two essays on analytical psychology, another essay on The Transcendent Function, and the book Psychological Types (Bair, 2003, p. 283). Unfortunately, he didn’t publish all of those straight away. In particular, The Transcendent Function, which is central to most of his theories (Miller, 2004), wasn’t published until 1957 after students at the C.G. Jung Institute found it languishing in Jung’s files (Jung, 1916/1957, p. 67). Also, Psychological Types is a difficult book to read, as Jung himself acknowledged (1973, p. 89). One of the reasons for this is that he describes (a) the influences of previous writers on his thinking in developing (b) his multifaceted view of the “type problem” and (c) his solution. Most of the book is spent in discussing (a) and (b)—for example, eight out of ten chapter headings contain the phrase type problem or the problem of types. This discussion is, in one sense, very important because the problem of types is a recurrent theme for the philosophical, artistic, and psychological writers that went before him. Also, the type problem has an impact in many domains, including different theories, interpersonal relations, intrapersonal conflicts, personal development, philosophical views of truth, differentiation of a unique individual from mass-mindedness, the relationship between the individual and society, and many more. However, Jung spends so much time discussing these issues—about the origin and nature of the various expressions of the type problem—that his solution can get lost in all the detail. As a result, from the early 1930s onwards, Jung started complaining that most readers were missing the “gravamen of the book” (Jung, 1973, p. 186). He added a foreword telling readers not to focus on Chapter X, which contains the type descriptions, but on chapters II and V (1934, p. xv). These chapters contain a relatively succinct summary of the problem and his solution. I must stress the word relatively because, even in those two chapters, many readers may still find it difficult to identify the kernel of his solution from behind what seems like the chaff of historical context and argument. It might also be difficult to grasp his solution without having first read the other foundational works—Two Essays on Analytical Psychology (CW 7) and “The Transcendent Function” (which can now be found in CW 8). Another factor in the contemporary interpretation of typology is the ubiquitous influence of Freud on modern psychology. After their break-up, Jung differentiated himself from Freud by saying that, whereas Freud was causal/reductive, he was teleological/constructive (Jung, 1914, p. 183). A reductive approach seeks to identify the causes of something and explain them in terms of basic principles. A constructive approach is concerned with “becoming” and seeks to develop something new based on an underlying purpose. To use an artistic analogy, a reductive approach is akin to losing some painting materials. Once you find them, you can put them back on your shelf so you can use them again. A constructive approach is concerned with realizing the underlying purpose and full potential of the painting materials—e.g., creating a new and unique work of art. The two approaches are not contradictory, but they put the emphasis in different places. In Gifts Differing, Isabel Briggs Myers said the aim of type is to “portray and explain people as they are” (1980/1995, p. 18). That is, she took primarily a reductive approach. Although she acknowledged that people can transcend their type and become something new (1980, p. 168) she didn’t see any need to (1977, p. 21). When using Myers Briggs typology we tend to look backwards—discovering who we were at the time of birth and becoming a better version of that type. Jung, however, looked forwards, to the unique person one can become at the end of life. Although there may be an initial disposition towards an orientation (Jung, 1921, p. 332), “type is nothing static. It changes” (1959, p. 435) and “the function type is subject to all manner of changes in the course of life” (1973, p. 230). To extend Jung’s metaphor of type being a compass, a reductive use of a compass would be to identify where you come from, to go back and make that your permanent home. A constructive use of a compass would be to navigate through and out of the territory. Before turning to the topic of ambiversion, I need to provide a brief summary of Jung’s concept of individuation, to which the concept of ambiversion relates. An individual’s potential does not reside within his or her psychological type, it resides within the archetype of the Self which is unrelated to typology. Although having type preferences is a stage of development, in the long run the process of individuation is not achieved through identification with a type but “through a differentiation of the self from the opposites” (Jung, 1921, p. 114). Jung summed up this process with the image of the caduceus (1944, p. 6), a staff entwined with two snakes that represents never-ending cycles of development. Also, each individual cycle is represented by the four stages in the alchemists’ “Axiom of Maria” (Jung, 1951, p. 153). Stage (1) is a (primitive) state of unconsciousness. In stage (2) we differentiate a one-sided consciousness and its opposite is projected into other people. In stage (3) we withdraw projections, differentiate the self from both sides (i.e. desist from exercising preference), and then hold the tension of opposites. In stage (4) the transcendent function forms in the unconscious, emerges initially in the form of a reconciling symbol, and then more fully as the new dominant function of consciousness. This function is then differentiated further (5) and the cycle repeats, as shown by the numbers in the diagram. As we continue to individuate, the transcendent function keeps reinventing itself and we become more unique and more whole. Although Jung did not use the term ‘ambiversion,’ he did discuss an associated concept, ambivalence, which is the experience of having contradictory feelings simultaneously. Ambiversion—as the equality of opposing thoughts that result in ambivalence—is a feature of archaic, primitive, or undifferentiated functions. That is, it is associated with stage (1) of the Axiom of Maria. However, stage (1) is not the only in-between state in Jung’s model of individuation, for there is also stage (4). This is a more advanced state in which the opposites have been transcended and, more importantly for the current discussion, reconciled. This means that “ambivalence” is no longer relevant because the contradictions have been resolved in the new perspective. To examine this process further, given that Psychological Types is such a difficult book, we can use a work by Erich Neumann, who was Jung’s friend from the 1930s on (Bair, 2003, p. 599). In 1949, Neumann wrote a book that integrated typology, myth, and the Axiom of Maria (though he didn’t name the axiom in the book). He both explained and expanded on some of Jung’s most important ideas. Jung wrote a foreword in which he described Neumann as gathering up the “disjecta membra” (1949/1970, p. xiii) of Jung’s own writings and as having arrived at “conclusions and insights which are among the most important ever to be reached in this field” (p. xiv). Although Jung did not then start to use the term “centroversion” himself, it expresses an aspect of individuation that Jung had articulated using other terms—e.g., the opposites “are united in a third and higher principle” (1921, para. 85). Isabel Briggs Myers thought that this higher state was unattainable during a normal lifetime (1977, p.21) but Jung regarded it as a “practical goal” (para. 85). Marie-Louise von Franz has also provided us with a practical description of how one can transcend one’s type. This new attitude that von Franz mentions is the transcendent function, and it becomes the dominant function of consciousness, replacing the typological functions. The one-sidedness of being a psychological type has been replaced by something that is not merely balanced between two opposites but integrates and reconciles those opposites. For the sake of clarity, individuation is not becoming a better type, nor is it becoming a more balanced version of one’s type. It is about transcending type and transforming the personality. In the context of the above, there are some other points from Shumate’s article to which I’d like to respond. The first is that Jung took the view that the “elimination of filters is neither feasible nor desirable.” This is the case—for example Jung wrote: “The only form of existence of which we have immediate knowledge is psychic … . Not only does the psyche exist, it is existence itself” (1938/1940, p. 12). However, although we can’t step out of psychology to see the world in a truly objective way, we can change our filters and make them more balanced. Jung’s task of individuation is not the removal of filters, it is the transformation of them. Also, the article refers to Jung’s definition of individuation as being a process of “differentiation.” Jung liked to play with words, and often used the same word in different contexts to show how an underlying principle is expressed differently. In Jung’s definition of differentiation, he describes it as the separation of parts from a whole and says that, in Psychological Types, he uses it “chiefly with respect to the psychological functions” (1921, para. 705). However, “chiefly” does not mean always. In his definition of individuation, he adds a clarification to show that he is not using ‘differentiation’ in respect of the psychological functions, but as “the development of the psychological individual as a being distinct from the general, collective psychology” (1921, para. 757). Individuation is the differentiation of the self from the collective, which leads to a more unique and balanced individual. Also, Shumate suggests that “Jung’s references to ‘normal man’ are rarely if ever complimentary.” This is one of those topics where Jung’s interests and views waxed and waned, and he expressed both positive and negative views (Myers, 2013). Jung defined normality in contrast to neuroticism—being normal is having one’s inner and outer needs met in daily life (1917/1943, p. 55). Although normality can include people at stage (1) of the Axiom of Maria, it can also include people at any of the other stages, including those who are individuating. Many of his apparent disparaging references to normality are directed at collectivity. That is, when adapting externally, normal people can sometimes just go along with mass-mindedness. Jung is sometimes very uncomplimentary about people who are differentiated, though the English translation can give a different impression. For example, there is a quote in Shumate’s article in which Jung, referring to extraversion and introversion, uses the phrase “a well-differentiated personality” (para. 971). This phrase is not a value statement. It is not saying that it is good to be differentiated as an extravert or introvert. The adjective that is translated as “well” is “verhältnismäßig” (Jung 1921a, p. 583) which means relatively. I.e., it is a statement about the relative quantity of differentiation. There is a clause immediately after (in both German and English) that clarifies this: “In other words, it becomes of practical importance only after a certain degree of differentiation has been reached” (para. 971). In the next couple of sentences, he refers to these “well-differentiated people” as being “pathological” and having “weak instinct.” This is not to say that everyone with a preferred orientation is pathological, rather this statement is in the context of a discussion of pathology. It is an example where being “a well-differentiated personality” is not a good thing because the extreme one-sidedness makes adaptation difficult. I agree that ambiversion is an archaic state. It occurs when the functions are undifferentiated and it produces ambivalent feelings towards other people or situations. However, it is associated with stage 1 in the Axiom of Maria. There is also another in-between state—which Jung called individuation and Neumann called centroversion—that is associated with stage (4) of the Axiom of Maria and the second half of life. It is an advanced state in which the opposites are transcended and reconciled, through development of the transcendent function. This is not something that is metaphysical or mysterious (Jung, 1916/1957, p. 69). Nor is it something that is beyond the “normal” population. On the contrary it is “a purely natural process, which may in some cases pursue its course without the knowledge or assistance of the individual” (Jung, 1917/1943, p. 110). But if we can learn to differentiate the self from the typological and other forms of opposites, then we can help it along. In Psychological Types, Jung discussed various aspects of the type problem and, today, the aspect of type as a problem needs to be rediscovered. Although from Jung’s point of view moderate one-sidedness does not usually cause major difficulties and is a stage of development to go through, ultimately being a type is a problem whereas contemporary type theory generally views it as a virtue. This has resulted in Jung’s solution, the transcendent function, being overlooked. It has also resulted in there only being one in-between state in contemporary theory—that of ambiversion. But there is another in-between state, which is the goal of individuation. The task of individuation in the second half of life is not to escape ambiversion to become one-sided, it is to escape one-sidedness to embrace centroversion. As Joseph Wheelwright once said, “the most important thing about types is detyping” (1982, p. 54). We can only do that if we rediscover the transcendent function again, which is the forgotten fifth function of psychological type. Bair, D. (2003). Jung: A biography. New York, NY: Bay Back Books. Brown, J. A. C. (1961/1969). Freud and the post-Freudians. London, UK: Penguin Books. Jung, C. G. (1914). On psychological understanding. In Read, H., Fordham, M., Adler, G., & McGuire, W. (Eds.) (R. F. C. Hull, Trans. ), The collected works of C. G. Jung (Vol. 3). Princeton, NJ: Princeton University Press. Jung, C. G. (1916). Adaptation, individuation, collectivity. In CW 18. Jung, C. G. (1916/1957). The transcendent function. In CW 8. Jung, C. G. (1917/1926/1943). On the psychology of the unconscious. In CW 7. Jung, C. G. (1921). Psychological types. CW 6. Jung, C. G. (1921a/1995). Psychologische Typen. Ostfildern: Patmos. Jung, C. G. (1934). Foreword to the Argentine edition of Psychological Types (R.F.C. Hull, Trans.). In CW 6, pp. xiv-xv. Jung, C. G. (1935). Principles of practical psychotherapy. In CW 16. Jung, C. G. (1938/1940). Psychology and religion. In CW 11. Jung, C. G. (1944). Introduction to the religious and psychological problems of alchemy. In CW 12. Jung, C. G. (1949). Foreword. In Neumann (1949/1970). The origins and history of consciousness. Princeton, NJ: Bollingen Paperbacks. Jung, C. G. (1951). Aion. CW 9ii. Jung, C. G. (1959/1977). The ‘face to face’ interview. In C. G. Jung Speaking. Princeton, NJ: Bollingen Paperbacks. Jung, C. G. (1973). Letters, Volume 1, 1906-1950 (Adler, G., Ed.) (R.F.C. Hull, Trans.). Princeton: University Press. Miller, J. C. (2004). The transcendent function. Albany, NY: State University of New York Press. Myers, I. B. (1977). Conversations with Isabel (transcript by Marcia Miller). Gainesville: CAPT. Myers, I. B. (1980/1995). Gifts differing: Understanding personality type. Palo Alto, CA: Davis Black Publishing. Myers, S. (2013). Normality in analytical psychology. In Journal of Behavioral Sciences, 3(4), 647-661. Neumann, E. (1949/1970). The origins and history of consciousness. Princeton, NJ: Bollingen Paperbacks. Samuels, A. (1986). Jung and the post-Jungians. London, UK: Routledge. Shumate, C. (2015). Ambiversion: Ideal or myth? In Personality Type in Depth, June 2015. Retrieved 10th November 2015.
von Franz, M-L. (1971/2013). The inferior function. In Lectures on Jung’s Typology. Putnam, CT: Spring Publications. Wheelwright, J. B. (1982). Psychological types. In St. George and the Dandelion (pp. 53-77). San Francisco, CA: The C.G. Jung Institute of San Francisco. Picasso, “Three Figures,” 1907-1908. Courtesy: Musée National Picasso, Paris. 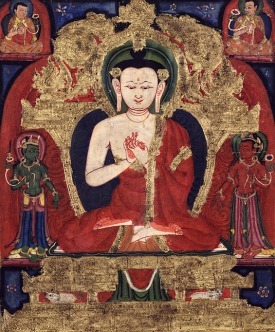 Unknown artist, “Buddha Vairocana”(14th c.). I agree with most of your essay, including several points that you feel contradict mine, but I don’t believe that if we manage to manifest the transcendent function we succeed in escaping our type. Jung suggested that the shadow grows throughout life, no matter how “individuated” we are. It seems likely that our type also persists throughout life, even in the most individuated among us. Von Franz and Wheelwright, whom you quote, showed evidence of their types past midlife. As I see it, the type problem is always with us, even when the transcendent function arises. Your piece does a great service in raising our sights to the transcendent function but I believe that in the process we must not lose sight of the base camp, our foundational type. I fear that the moment we did that we would, in the classic phrase, inevitably “revert to type.” Jung says as much: “The united personality will never quite lose the painful sense of innate discord. … The goal is important only as an idea; the essential thing is the opus which leads to the goal: that is the goal of a lifetime” (“The Psychology of the Transference,” CW 16, para. 400). I’m grateful to learn of Neumann’s term, centroversion, which recalls Jung’s comment that we “circumambulate,” suggesting the serpentine route that individuation takes. But that implies that we cannot develop the transcendent function simply by focusing on it anymore than we can develop the inferior function just by focusing on it. The will to be balanced or integrated does not make us so, and even can be counterproductive. As Jung said, “What stays in balance is correct, what disturbs balance is incorrect. But if balance has been attained, then that which preserves it is incorrect and that which disturbs it is correct. Balance is at once life and death” (The Red Book, 2009, p. 274). I suspect you and I would agree that the reason to study typology is to gain self-knowledge and move toward self-actualization, while our perspectives seem to be trying to correct for two different tendencies: Yours reminds us not to overlook the goal of a united personality and the unifying power of the transcendent function, while mine reminds us not to deny the inner conflict of opposites. Thank you for your reply, Carol. You make two main points – that “we must not lose sight of the base camp, our foundational type” and that “we cannot develop the transcendent function simply by focusing on it”. I agree with your second point, but have reservations about the first. Depending on what you mean by ‘not losing sight’, your point can have validity in some circumstances, but in others it might reflect the ubiquitous Freudian influence of looking back. For example, there is validity in looking back when someone has a natural orientation in a particular direction but is unable to express it due to societal pressure. This can be the cause of neurosis and Jung’s treatment for it was to identify the original disposition and allow it to be expressed. But the basic orientation of analytical psychological is teleological, looking forwards to what one can become. In that process of development, one’s type can change – not only did Jung say this explicitly several times but it is what the data tells us from the MBTI and other instruments (if we can resist the temptation to try to explain the data away to fit the ‘one type for life’ perspective). Our type(s) will always remain a part of our history, and may have influenced some of the skills we have developed, but Jung’s version of self-realisation is about what one can become, not adhering to the personality/ies we have been. In order to pursue Jung’s model of development there has to be a “differentiation of the self from the opposites” (CW6, para. 183) – which involves a “full parity of the opposites” (para 824). If there remains is an “identification of the ego with the most favoured function… the process of division will be repeated” (para 825). Only if “neither side succeeds” (para 826) in winning the inner conflict will the transcendent function form. Therefore ‘not losing sight of base camp’ and identifying with one type throughout life is an obstacle to individuation. Thank you for your comments and question, Jack. Not having met Freud, I have no reason to differ from Jung’s view – which he was rather indiscrete in writing about – that Freud was an example of someone whose diagnosed type changed due to neurosis (Letters II, p. 347-48). However, I am also reluctant in this context to try to put particular people into a type category because, as Jung repeatedly asserted, if we assign people to types then (in many cases) we are missing the point of his typological theory, which is to recognise the opposites in order to transcend them. As I say in the article, Jung added a foreword telling readers not to read chapter X (the description of the types) but chapters II and V instead (how to differentiate the self from the opposites). The reason for adding that foreword is still very valid – that in modern usage of type theory people identify with a type rather than differentiate themselves from the opposites – so Jung’s process of development is still being overlooked. To put it another way, if we play type-spotting, then we are taking our eye off the ball. I live in a world where people must find a way to chart their journey together, get along reasonably well and achieve common business goals. I find type to be an incredibly effective tool to do that. It has changed my life and those around me. The question I asked is of enormous practical value. I don’t apologize for using type as the practical tool developed by Myers and Briggs. It is a simple question with several possible answers, all interesting. I think these discussions remind me so much of C. S. Lewis small forgotten volume, The Great Divorce, which has an account of a theological discussion in the metaphorical, allegorical Gray Town, where discussion is king. I recommend this slim, important book. Thanks for your reply, Jack. I think the way you are using type is valid, and my article and comments aren’t meant to address that type of use. On the contrary, I view using type to reconcile conflict in a team as a form of group transcendent function – it reconciles the relational conflict. Jung also used type in a similar way, e.g. to explain and resolve difficult marital relationships. Much of my working life has been using type in team building with business teams. My article and comments are aimed at the (individual) application of personal development, and particularly the topic of individuation. The approach I’m describing above can potentially work *against* the ‘collective’ goals of a business team. Individuation and collectivity are two different destinies. The choice of approach we make can depend on the context (e.g. a business team requires a collective approach). But for personal development, Jung’s approach of individuation has been lost within a Myers-Briggs paradigm. I’m trying to highlight what has been lost – but that doesn’t negate other applications of type. In trying to understand your position, Steve, and to build a bridge to it from mine, I’ve identified a potential source of misunderstanding/division between us: Maybe the problem is our English term, “identify” which has various meanings. To “identify” one’s psychological type could be confused with the phrase “to be identified with a single function.” Jung uses the verb almost interchangeably with the verb “possessed”: “to be identified with a role” or “to be identified with one’s persona” or “to be identified with an archetype” is equivalent to being “possessed by” an archetype, i.e., the worst fate that could befall us psychologically. Then I too would make a distinction between identifying one’s innate typology and total identification with a particular type. So, when you say that “identifying with one type throughout life is an obstacle to individuation,” perhaps you are saying that making a total identification with a type code, or with a single function, obscures one’s individuality. I certainly agree that the way that type is presented is often superficial and could lead one to this pass. Thanks for your observations, Carol. I don’t think the difference between our views is due to a misunderstanding over the word “identify”, of which you’ve given a clear exposition of two meanings, it is more characterised by the question “can your type change?” If the answer to that question is ‘yes’, then “foundational type” and “identifying with” a type become much less relevant. Jung equated identity with participation mystique (not possession), and described identification as an unconscious imitation – both concepts being based on psychological conformity. By declaring ourselves to be a type we are ‘identifying with’ that type, showing that we conform to that classification. This “is beneficial so long as it does not… hinder the development… suited to the individual… When a better possibility presents itself, identification [can become] a hindrance… [though] it is, in fact, a necessary transitional stage on the way to individuation.” (CW6, para 738). Therefore, ‘identifying with’ a type is a normal occurrence in one’s development but, to pursue the next stage of individuation, there comes a time when one has to stop identifying with a type. On the question of type changing, irrespective of the debate about an original disposition, Jung’s view was that it was mutable. For example, he was asked if psychological types could be mapped on to physiological types. He said ‘no’ – because “Somatic characteristics are permanent… whereas psychological ones are subject to various alterations in the course of personality development, and of course to neurotic disturbance” (Letters 2, p. 347). In another letter, he suggests that, during Jungian analysis, E/I orientation often stays the same but the ‘function-type’ changes through all four functions (Letters 1, p. 230). When asked about his own type, he said that was difficult to answer because “type… changes in the course of life” (C.G. Jung Speaking, p. 435). Etc. And my own experience – of the data from questionnaires, of using type with people, and of self-reflection – is that if people aren’t forced to identify a single ‘true type’ they will often say that their type has changed, usually as a result of changes in life circumstances, or that they don’t conform to the dominant-auxiliary hierarchy defined by Isabel Briggs Myers, or that they are between two or more types. One final point – to what extent do we need to build a bridge between our views? My argument above is that Isabel Briggs Myers and C.G. Jung developed two different versions of typology. In solving the type problem, Isabel Briggs Myers claimed Jung had overlooked the auxiliary (Myers 1980/1995, p. 17). But Jung had already considered the auxiliary and concluded that another way is needed to solve the type problem – the transcendent function (Jung 1921, para. 85). Therefore, we are dealing with two, different versions of typology. Rather than try to make them say the same thing, we can ‘bridge’ them by acknowledging them as two different post-Jungian strands – one ‘classical’, the other ‘Myers Briggs’. In case one is hungry for references, one Jungian who has written clearly about his own type changes is Daryl Sharp (in his main book on typology), noting he switched between introversion and extraversion, and was an introverted feeling type at one point (at time of writing his book, apparently dominant introverted sensation with auxiliary thinking). Von Franz’s view on this was that you actually become a new type sometimes for a period of 10+ years if you’re trying to really bring a second or third function to consciousness (you live with it at the forefront of consciousness, as if you become that type), but I do think she thought there was such a thing as frequently a “natural type” for a person to start off with, evidenced in her contention that some people develop unnaturally into “distorted” types perhaps because of their circumstances. CA Meier wrote in his own book on typology that he finds introversion-extraversion to be relatively innate, but that the selection of the main psychological function can be much less innate factors, and more on the principle of what works. On a more philosophical note, I’d say that Jung had a certain key difference from eastern spirituality, in that unlike those sources which really sought to dissolve the ego, and thus the need to perceive opposites/differentiation (which the entire idea of developing a conscious center as distinguished from the unconscious is predicated upon), Jung seemed to view the idea of full-on balance as destructive to the very foundation of the psyche, which involves (to Jung) the ability to perceive differences. I think Carol Shumate references something of this spirit in one of her replies. It’s hard to say exactly what this implies for one “never escaping” one’s type, but it’s pretty close to the spirit even if not the letter of what Jung is probably believing, ie that there’s some remnants of the ego’s differentiation from the more collective, less individual aspects of the psyche that should not be undone for total balance. Coupled with von Franz’s claim that, despite apparent type change, there was an original type most natural to start with, presumably this original type is then a “mark” of the ego of the individual, which remains to some degree, however implicitly — in their view. The trouble though is eastern spirituality broadly speaking, it seems, would say this destruction is necessary, or at least I’d wager as such – yes the psyche as it is known would be destroyed, but at least some would probably suggest this is the end goal anyway to transcend the world of opposites and thus the need for an ego. So really I think at a point, like Myers is saying, I think we’re running into the fact that people don’t quite have the same philosophies of what the end goal is, and this probably affects how much they think one’s “type” can be transcended to a full state of balance. Thanks for your comments, ptypes, and the examples of change. Do you have a reference to illustrate what you mean by Jung’s “idea of full-on balance as destructive to the very foundation of the psyche”? There are several concepts, which your comments touch on, that Jung argued against – but I wouldn’t characterise any of them in that way. Some of those concepts, for example, are: 1. Balance in individuation is not about dissolving the ego (rather, that is the opposite of individuation, it is the ego sinking into the unconscious, which is one view of what happens in gnosticism). Nor is it about destroying the ‘psyche as it is known’ (I presume you mean the ego or consciousness, as the ‘psyche’ can’t be destroyed) for the same reason – individuation is about increasing consciousness, but not in a one-sided way. 2. His warnings about eastern religion were to do with the unsuitability of using certain techniques. He criticised the west for being too differentiated, the east for not being differentiated enough – which isn’t to do with balance per se but different ways in which east/west fail to make better progress towards individuation (up the caduceus). 3. Maintaining a relation with the collective is another aspect that is key to individuation (to avoid individualism) but, in that sense, he discusses the external and internal collectives separately and both discussions are unrelated to identifying with a type. 4. The concept of total balance in the psyche is indeed unattainable, but not because we can’t transcend typological functions but because consciousness can’t integrate the whole of the unconscious – it is too vast and there are many other opposites that need to be transcended. Etc. So, as you can see, the phrase ‘full-on balance’ and the supporting argument you have given can, it seems to me, take us in several different directions depending on exactly what aspect of the theory we are looking at. None of the writings I can think of argue that we can’t achieve a balance between topological opposites. On the contrary, Jung wrote that the majority of people are in the middle group, i.e. typologically balanced (CW6, para 894). Hence, it would be helpful for you to point to something he wrote that articulates the ‘full-on balance destroying…’ that you refer to, so we can discuss exactly what he had in mind in that part of his theory. Well the gist is that the eastern traditions and Jung strove for a similar type of balance–namely one which involved a certain greater unity between ego and Self, whatever those two things meant. The idea of transcending the opposites in Jung’s typology/other aspects of his work on the ego/unconscious is highly parallel to the concept of say, Vedanta’s idea of the ego merging with Brahman, the large Self (sort of the equivalent in Jung of the resolution of the ego-unconscious tensions to achieve a unified Self). The big difference between the two philosophies I was bringing up is Jung repeatedly has it seems resisted the idea of really dissolving the ego, of having it merge with some impersonal entity like Brahman in full. And I believe that’s highly related to your comment about his finding eastern spirituality to de-emphasize differentiation. Although indeed, that is part of the point–differentiation by definition must occur by an act of will, direction, given by the ego, to separate the opposites which remain fused in the unconscious. So whatever Jung says about eastern spirituality, I’m pretty sure they are well aware of those implications, and simply differ on what they feel to be the end goal. The most obvious place I can recollect Jung discusses Brahman is in Psychological Types itself if I recall correctly, but I think he’s discussed eastern thought and its presentation of the ego-Self problem, and his level of convergence and divergence with its aims in several other places. This includes his visits to certain sages of India and decision that on some points, their path is simply not of interest to him (and naturally, proponents of those paths also argue equally clearly that Jung’s path is of no interest to them). And overall I gather his position is that proceeding to an undifferentiated state is destructive, because differentiation is fundamental to psychic life–which is an unsurprising claim of his, given his emphasis on the importance of differentiation. Hope that makes some parts of where I am coming from clearer at least! Also I noticed you drew the distinction between seeking balance and de-emphasizing differentiation — the nature of that distinction, how much it can exist, and so on, is probably a part of the discussion. When I write of proceeding to an undifferentiated state being destructive in Jung’s view, I’d say the gist is I’m once again bringing up how dissolution of the personal ego *entirely* would seem to be an idea Jung would resist. Thanks for your reply, ptypes. The idea that you are presenting has some similarity with the notion that Carol articulated in her original article. I am saying, in my article above, that such a view is not consistent with a classical Jungian perspective because it conflates various concepts. This can perhaps best be illustrated visually with reference to the diagram in the article, of the Caduceus with the numbers from the Axiom of Maria. 1. In the Axiom of Maria, an “undifferentiated state” is position 1 (the bottom). We can use the term ambiversion to describe this state. It is a sort of balance, but one that Jung wanted to get away from because it is a state of unconsciousness which is problematic for various reasons. 2. When we differentiate a typological function, we move to position 2 (UP and OUT). This creates a division in the psyche and is unbalanced. 3. When we differentiate the individual from the collective, by differentiating the self from the opposites, we move to position 4 (UP and IN). We can use the term centroversion to describe this state. This is a good balance that Jung advocated pursuing. The progression of individuation is always UP, but dissolution of the personal ego is always falling back DOWN, which is what Jung resisted. Therefore, when you write of “proceeding to an undifferentiated state” you are mixing two concepts – moving UP the caduceus and falling back DOWN. Typological balance occurs in both directions. By my reading, *I* am not proposing a view contrary to Jung of my own (just to be clear), but I am proposing that eastern spiritual traditions like Vedanta hold a view that seems at the end of the day incompatible with Jung’s approach. I hope it’s clear that I am *intentionally* noting this view, including intentionally noting that it’s incompatible with Jung’s approach — in other words, it’s exactly opposite my point to say this approach is classical Jung. That said, I think the relation between Vedanta’s view and your UP(in?) (transcendent function) and DOWN (primitive undifferentiated state) is more complicated. Dissolution of the personal ego simply was not akin to a primitive undifferentiated state — it was more like an enlightened undifferentiated state. Now Jung resisted the very idea of this. I think the analogue of a primitive undifferentiated state was more akin to a state of apathy, a directionless state. The Indian traditions very much had an analogue of differentiation, namely following one of the yogas, say Jnana, Bhakthi (head, heart — akin to thinking and feeling functioning). Still, where they diverge is they propound the final goal involves a dissolution of differences, a dissolution of the personal ego, a so-called “higher” undifferentiated state. So it isn’t as if, where eastern traditions propounded descending to a state where differences and the personal ego are dissolved, that they weren’t aware of the “lower” undifferentiated state of directionlessness. In other words, they are actually addressing the concern Jung had about undifferentiated states….but not in the same way he did. **Note—I don’t advocate the view of Vedanta as my own! Nor do I advocate Jung’s view as my own. I like presenting different perspectives. I would agree that, if the view of Vedanta were my own, in a strange way it WOULD be propounding something closer to Carol’s perspective, even if hers isn’t that of Vedanta, because implicitly, in suggesting that one requires dissolution of the personal ego to achieve balance, I’d be saying that if one remains with the personal ego in place, then one plausibly may be somewhat be “stuck” in the original type in a certain sense despite having displayed the other, more non-static aspects of type, and despite having moved to the transcendent realm. I recognize (assuming I’m reading right) that your article is exactly saying that one needn’t dissolve the personal ego to move away from one’s “original type,” and that one can retain the personal ego, but still achieve balance by the transcendent function–without still being tied to our original type. Brief additional note is I gave the Jnana+Bhakthi as examples of how eastern traditions also had things like a differentiated path suited to the individual nature of the person, but I’d not stand exactly by the mappings to head/heart because truth be told, eastern traditions tended to what in Jung would be a bias to the more irrational types of functioning, and de-emphasized the intellect/thinking function. Still, taken just as an analogy rather than fact, it conveys the point. Thank you for your reply, ptypes. I shall have to pass on discussing the additional perspectives you have introduced. There is sufficient potential confusion in the two perspectives in the main article (i.e. the difference between Myers Briggs and Jung). In Jung’s scheme, “dissolution of the ego [is] a state resembling death” (CW16, para. 501). This is not what my article is discussing. Rather, through repeated cycles in the caduceus, it is discussing a form of ego development. Sure! I was just mentioning it for interest, because already you had a difference with Carol Shumate’s point of view, and I wanted to mention yet another perspective that’s still different. The gist is these perspectives all differ in how they see the end-goal of achieving transcendence of some kind or another, even if all of them converge in having some kind of transcendence of the ego’s original position. Whether that entails truly getting past remnants of one’s type (your POV, to my understanding), or leaving aspects of the original type essentially intact despite transcendence (it seems to me Carol’s POV, again to my understanding), or doing away with the ego altogether (Vedanta, and other eastern traditions’). It could be interesting, but of course not necessary, to ask to what extent we can bridge these, but at least your attitude to this question I propose it is understandably parallel to your attitude to Carol, that is, that different typologies are different, and perhaps needn’t be bridged after all. I’m very interested in the topic of ego development, and I enjoyed this article and the followup discussion. One followup question for you Steve — if you feel like sharing, I’d be curious to hear any anecdotes/observations from when you have found yourself navigating from (3) to (4). Thanks for your comment and follow up question, Kartik. It is a big question, though, because the transition from 3 to 4 isn’t a rational process, and the symbol that spearheads the process can take many, unexpected forms. Meditation is obviously one of the major techniques – along with dream analysis and active imagination – that can help us notice, and begin to grasp the meaning of, the symbols that facilitate the transformation of personality and integration of opposites during this stage. An important word you used was ‘contain’, which alludes to the role of the alchemical vessel in Jung’s model of development. My personal experience is that it is difficult to consciously contain self and opposite and be changed at the same time. Sometimes the ego needs a bit of help, which can be provided by the outer world. In my own development, I’ve sometimes been in situations – eg by being taught to ride a motorbike or play drums – that forced me to engage with opposites. One memorable ‘symbol’ was at my first drum lesson, when the drum teacher said I should to learn to lead the drumming with my non-preferred hand. He was a container of sorts who helped me integrate ‘physical opposites’. There are some good, practical illustrations of this type of external containment in films about post-apartheid South Africa, such as In My Country or Invictus. They show how Nelson Mandela or the Truth And Reconciliation Commission acted as ‘containers’ that forced people on both sides to engage constructively with their opposites and be transformed by them. Thanks for the response Steve, you make some very good points. I have one area of divergent experience regarding symbols — which I’m not sure is contradictory or paradoxically in alignment with your comments 🙂 In my experience, the archetypal pull of symbols has typically been a warning indicator, as opposed to a reconciling one. It signals to me that I’m unconsciously attached to an ideal (or its opposite). Transformation for me has often involved surfacing that unconscious attachment, letting go of it, emotionally processing its loss as needed — whereupon I notice that the symbol has been neutralized. It no longer has the ability to consume me as it once did, in intensely positive or negative ways. I can still appreciate its power and value, but it has been demystified. It has been contained within a context of expanded mental space. When I was younger, I would relish discussing and debating about movie characters, speculating about “their” motivations and what “they” might do in other situations. I enjoyed this reification process, and was fairly oblivious to how my own mind was the very source of the enjoyment that I thought I was getting from somewhere outside. Nowadays if I watch a movie, I find myself without much effort mentally deconstructing the characters and connecting to the underlying archetypal energies that they evoke. The external forms change, but the internal energies are surprisingly consistent. I like to become more aware of these internal energies to see what what role they play, how they wax and wane, their texture, their temperature, how they interact, etc. A similar thing happens for me with symbols. I tend to quickly deconstruct them, look at them from different perspectives, see how they appeal (or not) to those perspectives, and take in the value of those various angles. But they often don’t seem to, in themselves, have a transformative effect for me. The transformation seems to happen over time, as those various perspectives are both consciously and subconsciously integrated. Again — I don’t know if what I’m saying is actually contradictory to the process that you are describing. And I’m certainly not immune to the transformative power of symbols. But I have found that, over time, many public symbols that are seen as majorly important to other people do not enthrall me in the way that they might have in the past. I can empathize with those perspectives and appreciate their meaning and significance, but I don’t take them as portentously. How would you position the role of symbols that serve as a warning signal vs those that have a reconciling, transformative power? Thanks for your reply and comment. The type of transformation you describe – recognising your unconscious attachment and letting go – is congruent with the process described above. The recognition and letting go is part of the move from stage 2 to 3, which involves the “differentiation of the self from the opposites” (Jung, 1921, p. 114). The demystification of the symbol indicates the end of a cycle in which a new conscious standpoint has emerged as a result of integrating unconscious contents. The significance for you of your change of attitude toward movie characters is only something that you can decide. But, as a thought, it may help to consider Jung’s view of the two main contributions of film. One is to provide an outlet for the type of emotions that are repressed in daily life. The second is to assist the process of individuation. Might the change indicate that your development has moved beyond the level (or higher up the caduceus) than where this type of movie character deconstruction can help you integrate more of the unconscious? In fact, one could go further and ask whether such movie character analysis might now be a blockage to individuation. 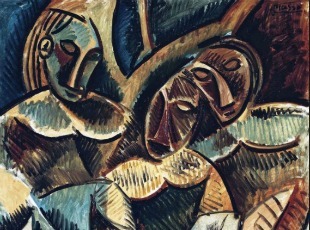 Jung said (of art generally, not movies in particular) that historical mythological motifs can sometimes act as ‘cloaks’ that hide the real visionary meaning of the art (see http://www.tandfonline.com/doi/pdf/10.1080/19409052.2012.693456 for more info). That may be why you say they don’t have a transformative effect for you anymore. A character deconstruction is just going over things of which you are already conscious. The numinous, unconscious material may be in something deeper or more subtle in the film. In conclusion, I don’t see a distinction between symbols that warn and symbols that reconcile. Symbols are multi-faceted and defy conscious categorisation. We may have to suspend some of our conscious processes or judgments for them to reveal their meaning. This is very helpful Steve. I reread the discussion around page 114 in Psychological Types, as well as some of your other blog posts, and now have a better appreciation for what you’re talking about. Reflecting on this some more, I have found Jung’s writing (along with other philosophers and spiritual teachers), to be richly symbolic and facilitative of the transcendental function. Sometimes, just the turn of a phrase in a sentence is enough for me to feel a shift in awareness, a wave that reverberates at both conscious and unconscious levels. When I was younger, I used to project all sorts of ideals onto Jung and other teachers. As I’ve grown, I’ve withdrawn a number of these projections, without diminishing the value of what I’ve learned (and continue to learn) from their writing. Indeed, I have seen how symbols can serve multiple purposes — which is exactly what you are saying. I read your paper about psychological vs visionary source of myth in film and found it thought provoking. I particularly liked the discussion on psychology as a form of myth — “the natural and indispensable intermediate stage between unconscious and conscious cognition”. Viewed this way, psychology becomes a *bridge* — one that we need neither shun nor cling to, but rather one that we can *traverse*, to connect what we are aware of with what we are unaware of. 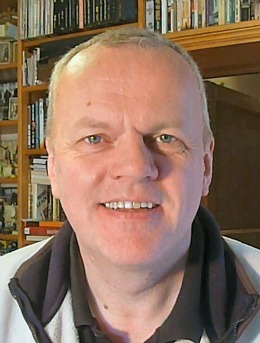 Steve Myers (no relation to Isabel Briggs Myers) holds a Masters in Jungian and Post-Jungian Studies, a PhD in Psychoanalytic Studies, and was the first winner of the David Holt Prize for outstanding student at the University of Essex. He has used Myers-Briggs typology in his commercial consultancy for more than a quarter of a century and is the author of Myers-Briggs Typology vs Jungian Individuation: Overcoming One-Sidedness in Self and Society. His blog is Practical Insights of Analytical Psychology.